BBC political editor Laura Kuenssberg has said of a tumultuous six months in global politics covering Brexit and Donald Trump’s election that it was “like the world’s been on acid”. 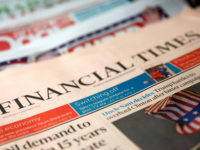 Speaking to Press Gazette after collecting the prize for Journalist of the Year at the British Journalism Awards this week, Kuenssberg added the pace of news had been “relentless”. Since June, Britain alone has witnessed a vote to leave the EU, a Tory leadership battle, a change of Prime Minister, a divided Labour party and the murder of an MP. 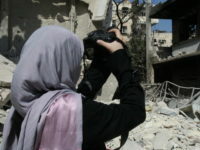 Abroad, the ongoing refugee crisis fuelled by the conflict in Syria, Trump’s surprise victory and leadership elections across Europe has meant little downtime for journalists on the politics beat. “The pace has been relentless,” said Kuenssberg, “and I think that’s the distinction. “The cycle has speeded up so much now that you are dealing with four or five news cycles in one day and that’s been a challenge and an excitement and something that’s been a privilege to witness. For Kuenssberg, who says she has the “best job in political journalism”, her role is clear. “[Mine] is the job of translating what’s happening in Westminster to people up and down the country, which I think is the most important job we have as journalists,” she said. She added: “At a time when the questions are bigger, our responsibilities are bigger, and we take it very seriously. 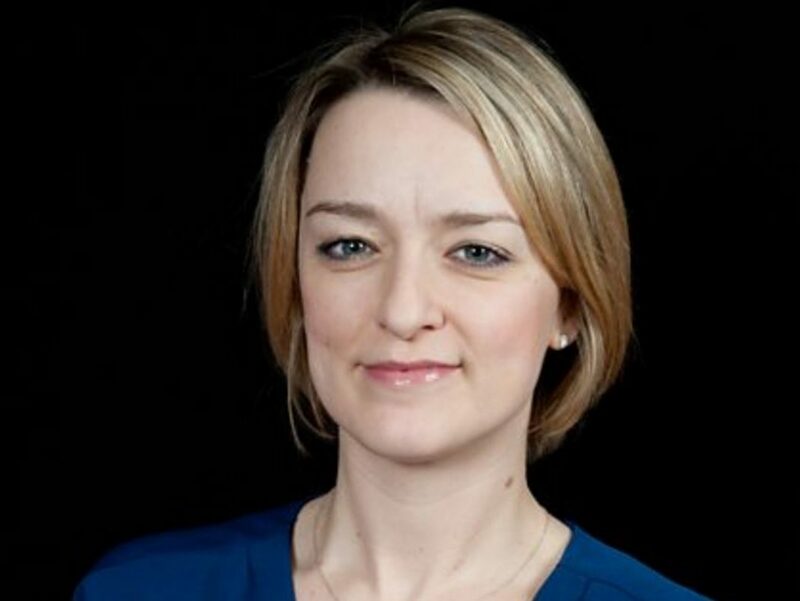 Kuenssberg, 40, started her journalism career in local TV and radio, joining the BBC as a trainee in Newcastle in 2000 and working for BBC North East and Cumbria before moving to London. She joined the Lobby (the hub of political journalists based at Westminster) in 2003, reporting and presenting for BBC Two’s The Daily Politics show. In 2009 Kuenssberg was named chief political correspondent for BBC News, leaving the BBC for ITN in 2011 before returning as Newsnight’s chief correspondent a couple of years later. She was appointed BBC political editor late last year and is the first woman to hold the role. 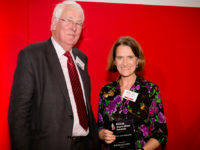 Her work covering Brexit and the ensuing Tory leadership battle were highlighted by the British Journalism Awards judges who said she “made the story of Brexit her own”. 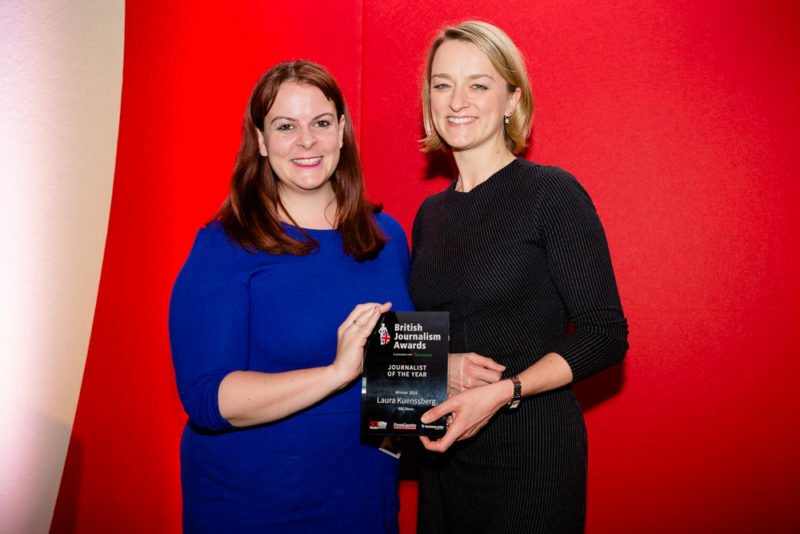 “Laura Kuenssberg deserves this prize for the sheer volume and scope of reporting on some of the biggest changes ever in British politics when she was just into the job of BBC political editor,” they said. “In the days and weeks after the Brexit vote she seemed to be everywhere. “Her moving interview with Brendan Cox [widower of murdered MP Jo Cox – pictured top] showed sensitivity and compassion. “She led the way on reporting the fast-moving developments in the Tory leadership race. So what does Kuenssberg, who holds arguably the most influential political journalism role in the UK, think about Brexit? “Clearly our decision to leave the EU is the biggest political decision we will take as a country for decades,” she said. “No one knows what the consequences will be, good or ill, and therefore I think most people would accept that the consequences of that are bigger than any choice from the general election – although those are of course huge stories too – and you’ve seen politicians grapple with that and they don’t really know what to do. Asked if she had been surprised by the EU Referendum result, Kuenssberg said: “I don’t think I called it but it didn’t surprise me because we had been on the road for months before the result, not just during the campaign, and we picked up that lots of people felt that [voting to leave] is what they wanted to do. 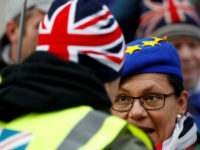 With the referendum dominating media coverage in print, online and on TV, competition for the latest morsel of Brexit news was – and still is – intense. So how did Kuenssberg try to stand out from the crowd when so much was being said and written about the matter? “I think you just do your job,” she said. “People sometimes ask me: ‘How do you do what you do?’. And I just think you work really hard and you are really nice and then people will want to tell you things. “[It helps] if you’re interested and have an open mind and you genuinely go and ask people questions wanting to know what they say rather than asking them to confirm what you already think. She added: “I don’t think there would be very many reporters who were out of Westminster for the duration of the referendum campaign who would have been surprised by the result. While her coverage of Brexit has won her acclaim, Kuenssberg’s reports on embattled Labour leader Jeremy Corbyn have earned her critics, largely from Corbyn’s fervent supporter base. Chuka Umunna, MP for Streatham in London, was one of a number of Labour politicians who said the claims of bias against Kuenssberg were “utter garbage”. In May then Prime Minister David Cameron was prompted to condemn a petition calling for Kuenssberg to be sacked after it was “hijacked” by “sexist trolls”. Kuenssberg is stoic about the matter when asked. “Politics is a tough business and I’m not going to get into that,” she said. EU referendum coverage in the national press was strongly biased in favour of Brexit, as Press Gazette showed in our Brexitometer of news coverage. Kuennsberg said she feels the BBC has an important role to play in terms of providing balanced coverage. “Among the many jewels and gifts that the BBC has is our editorial independence which we get because people participate in us,” she said. “Everybody has to be part of the BBC because everybody has to pay for it. That is our precious jewel and I guard nothing more important than our impartiality. “Marvellously in the British press people want to read polemic, they want to read stuff that provokes them, they want to read stuff they agree with, they want to read stuff they disagree with, they want to enjoy all the fantastic variety of goods we have to feast on in the British press and I wouldn’t change that for a second. “At the Beeb we know we’ve got responsibility to be there for everyone and that’s why we’re there. “I was a BBC trainee so if you cut me in half I’d have the whole thing through me like a stick of rock. Kuenssberg is the first female political editor of the BBC since the role was created in 1970, taking over from Nick Robinson who was in the post for ten years. It’s not easy, what with Westminster being a huge rumour-mill, but I’d prefer more reporting of facts and a lot less ‘interpretation’ of facts; more emphasis on underlining that which is speculation. In this allegedly ‘post-truth’ world I need something I can rely on. Mike’s newspapers have always been imaginative, hard-working and full of ideas. You can’t turn out newspapers like that if you aren’t given the people, the budget or the time. Mike’s mould didn’t fit with NQ strategy of web first and feeding the clickbait crowd. Classic journalism is no longer a priority at NQ and this departure of someone more than capable is a symbol of it. Newsquest’s perennial penny-pinching will eventually come back to haunt them. 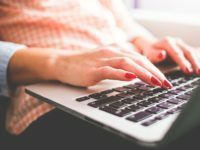 Readers are shortchanged, advertisers massively overcharged and contributors poorly-rewarded. 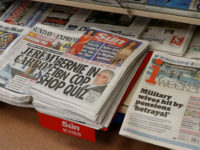 We know where HMS Newsquest is heading: newspapers as websites only. Lower costs, you see. MG should be glad he is out.